At the TorchTech Share Fair in February, we had the opportunity to present an update on the DRSR project. 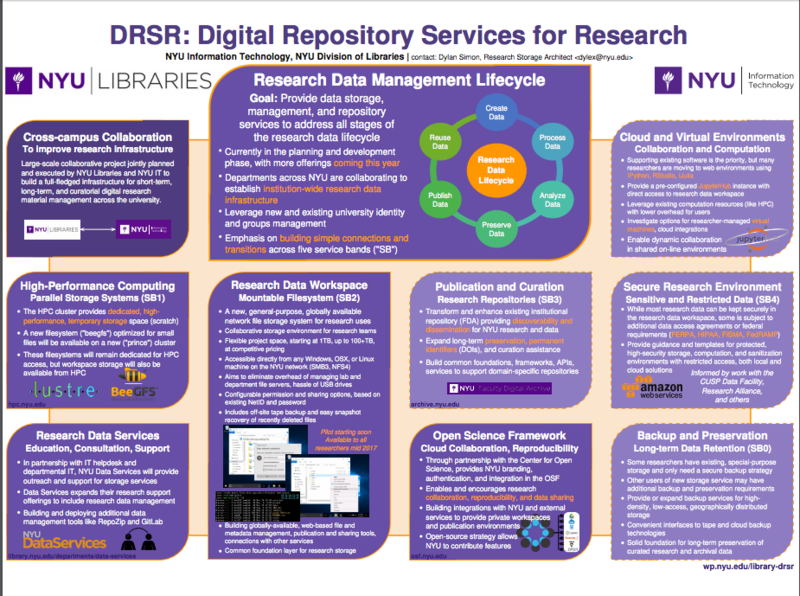 Here is our poster, which describes the many services that are part of this effort. The fair was very well attended, with participation from across the University, and many visitors came by with questions about our services. Next Next post: We have a new name!